Been looking to call Seongnam cheap? Finding a way to call Seongnam affordably has been an ongoing, if not fruitless search. Again and again you’ve looked into foreign phone services that promised affordability but delivered disappointment. Vonage World®, at the time, didn’t include South Korea on their impressive country roster. It looked as if all hope was lost when it came to calling Seongnam. Reconsider Vonage World, because this calling plan now includes South Korea! That’s right, unlimited¹ calling to South Korea is so close you can hear it. For a low monthly rate, you’ll be able to call mobiles in Seongnam and landlines as much as you want¹! Seongnam unlimited¹ calling is here and Vonage World is the only one of the many international calling plans to Seongnam to give you affordable prices and no limit on minutes¹. 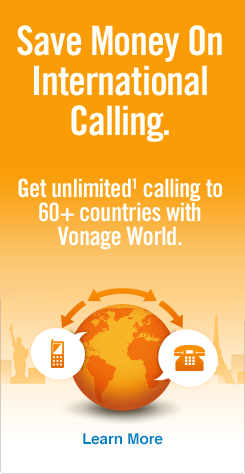 Sign up today for the plan that’s giving you unlimited¹ calls to Seongnam¹, Vonage World! Now you know the plan to call Seongnam with, but do you remember how to dial? Then, dial 31 — the Seongnam area code (landlines only*). Complete dialing with the local 6–8 digit Seongnam phone number. *For mobile calling to Seongnam, enter the U.S./Canada exit code, the South Korea country code and then “1” before dialing the 6–12 digit mobile phone number. Now that you know the plan to call Seongnam with and the steps to dialing, peek at our post on how to call South Korea from the U.S. to learn how to call other South Korean cities. The first planned city in South Korean history, Seongnam is located just outside of Seoul. Seongnam is so close to the capital city that it’s considered a commuter/satellite city and is also part of Seoul’s metro network. In 2009, Seongnam announced plans to merge with Hanam, another city in the same province.